You are here: Home / decorating tips / Tips for finding the perfect rug! Hello there! Thanks so much for visiting today. If you are new here, we are a military family living overseas. I love sharing sharing rental friendly decorating ideas and DIYs and living in small spaces. If you are a regular reader, welcome back friend! I so appreciate you being here. Let’s get to chatting about rugs. I absolutely love all the rug choices we have available, especially online, but after you spot a pretty rug and then what? Do you know if it will last? Is it the right size? Today, I’m sharing all about rug placement, size, and material to help guide you through your next rug purchase. Types: There are many types of rugs, I will touch on the ones most commonly used. Wool rugs are the most traditional and practical. They have high durability and are easily cleaned. Wool rugs may be more expensive but stores like Home Goods, Tuesday Morning, Overstock, RugsUSA, and Wayfair carries them at affordable prices. Silk rugs are the most expensive and difficult to care for. They are considered pieces of art and are usually hand painted. Cotton rugs are cheaper but less durable and should not be placed where moisture can be present. Synthetic rugs are the cheapest option and often resemble wool, are fairly easy to clean, and can be more practical for high traffic areas. West Elm, IKEA, and Lowe’s are other places to look for affordable rugs. Also a rug with a blend of synthetic and other materials are great for families with children and/or pets. There are other things to consider, for instance, the pile (thickness) of the rug and whether it is machine-made or handmade. These choices are more cosmetic as they affect the appearance of the rug. If you have pets with sharp nails, you may want to stay away from hand looped or braided rugs to avoid snags. Other types of carpet include shag, natural fibers, and even machine washable. Size and Placement: You can easily find sizing guides where rugs are available. It’s best to measure your space before you start shopping. Here are some visual examples of how rugs can be used in different spaces with various sizes. Bedroom Options: Rugs under the bed should at least have 18 inches exposed on the size, larger if the room is larger. Bed front legs on a faux fur rug and with a large vinyl floor, it made sense to layer with a second wool rug. The rug is fully under the bed in this gorgeous example. Living room options – If you are unsure of what size to use for a larger living space, you can start by measuring the distance from wall to wall and then take away 3 to 4 feet resulting in 18 to 24 inches of exposed flooring around the rug. It’s also okay to keep all sofa legs off the rug if it is grounded by other furniture. Dining room rugs – Make sure there is 24 inches from the edge of the table to the outside of the rug so there is ample space to pull out chairs. Furs and hides can work in any space because of their organic shape. Don’t worry too much about size! You can always layer them as well. Smaller spaces- Closets, entryways, and hallways; leave about 6 inches of exposed flooring around the rug. Color and Patterns: Just a few quick tips….If there are lots of existing colors and patterns in the room, try a neutral rug with or with out texture to help balance out the space. If you are trying to liven your space, try a rug with brighter colors and patterns that can work with any style of decor like this example. 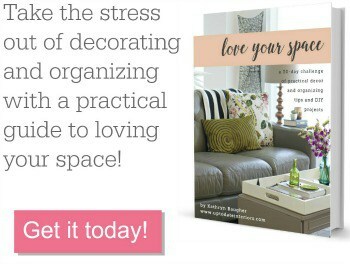 For more help with sizing, furniture arrangement, rug placement, and styling, sign up for my free 5 day email course! There are so many options for rugs, if you are completely overwhelmed these tips will help you get started but they are just guidelines. Feel free to experiment, anything goes! If you have any questions or want to leave a comment, I would love to hear from you! *Updated from the original post written May, 2013. Thank you! There are so many options out there, just touching on the basics. 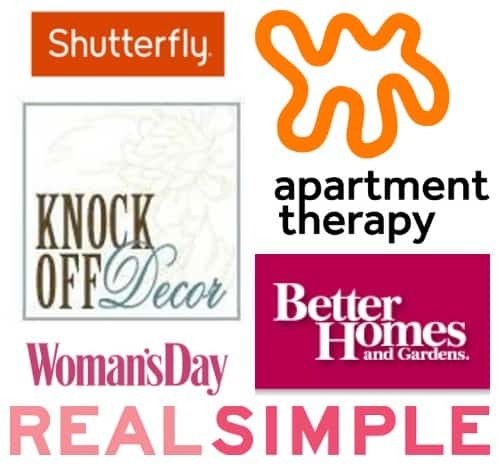 The best tips i ever read about anything in home decor. So clear and instructive. I am not afraid to buy my rug anymore! Wonderful Andrea! Happy to hear it!! Great tips Kathy! Thanks for including my living room too. It was a surprise. 🙂 Meanwhile, loving that silk rug in your bedroom!!! Thanks for sharing the best posts they very nice and very useful to us. Well, great explanation about this topic. I got such a good information it very help us. I am very satisfied with your site and your posts they amazing. such great tips and examples! and gosh west elm always nails it with their rugs!